This tee is a black 4.2 ounce 100% combed ringspun cotton jersey knit. It is supremely soft and of superior quality. 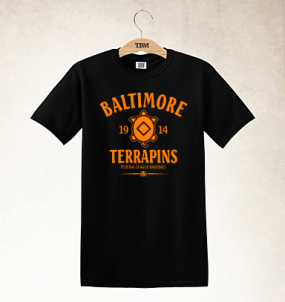 The Baltimore Terrapins Clubhouse Vintage T-Shirt makes a great gift idea!